The Berlin WelcomeCard is (almost) everything you need for a visit to Berlin. The Berlin WelcomeCard gives you unlimited access to public transport (zone AB or ABC) and large discounts on over 200 museums, guided tours, restaurants, and wellness. 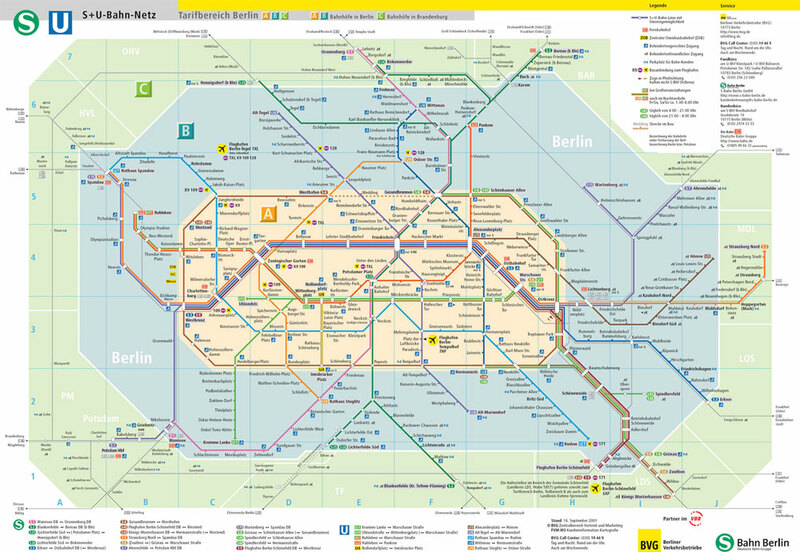 You can choose between a 48-hour, 72-hour, 5 days Berlin Welcome Card or the Museum Island 72-hour Berlin WelcomeCard for either Berlin (zone AB) or Berlin and Potsdam (zone ABC) with the S+U-Bahn, bus, tram, and local trains. You also get a free informative brochure, available in 5 languages (English, German, Italian, Spanish & French). What's included in the Museum Island WelcomeCard? Museum Island WelcomeCards also include free admission to all museums on the Museum Island (Museumsinsel) throughout three consecutive days. Some special exhibitions are excluded. Where do I find information about the free tours, entries and discounts? You can find all relevant information about the free tours, where you get free entry and discounts etc. here. Shortly after your booking has been completed your e-ticket will be sent directly to your email address. Just print it out and bring it to any of the several Visit Berlin offices located around Berlin and at the airport, where you exchange it for your Berlin WelcomeCard. See where the Visit Berlin offices are here. Is the card valid for calendar days or consecutive hours? The card is valid from the time you activate it and then for x consecutive hours, 48 hours, 72 hours etc. Where can I find a map of the travel zones? Which card would I need to travel to/from the airport? 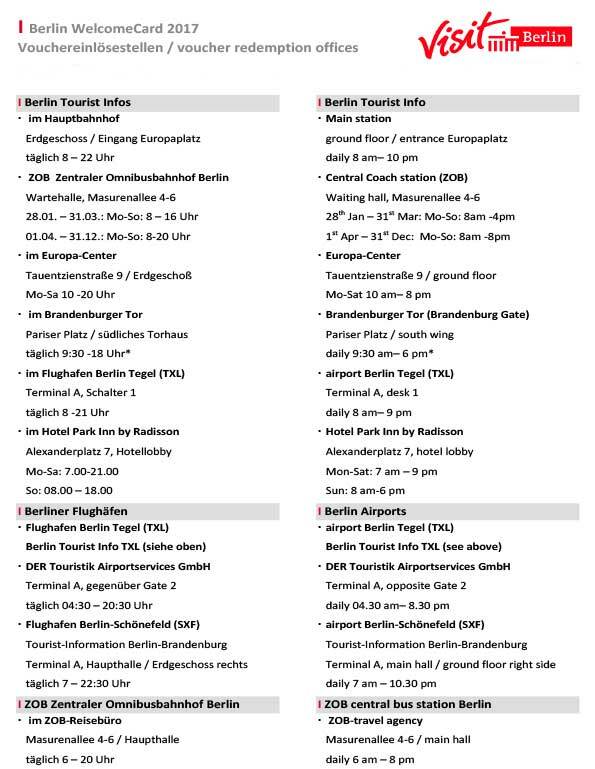 In order to travel to/from the airport, you need a Berlin WelcomeCard valid for zones ABC. Is there a children's Berlin WelcomeCard? All Berlin WelcomeCards allow an adult to bring any number of children up to 6 years of age, and up to a maximum of 3 children up to and including 14 years of age free of charge. 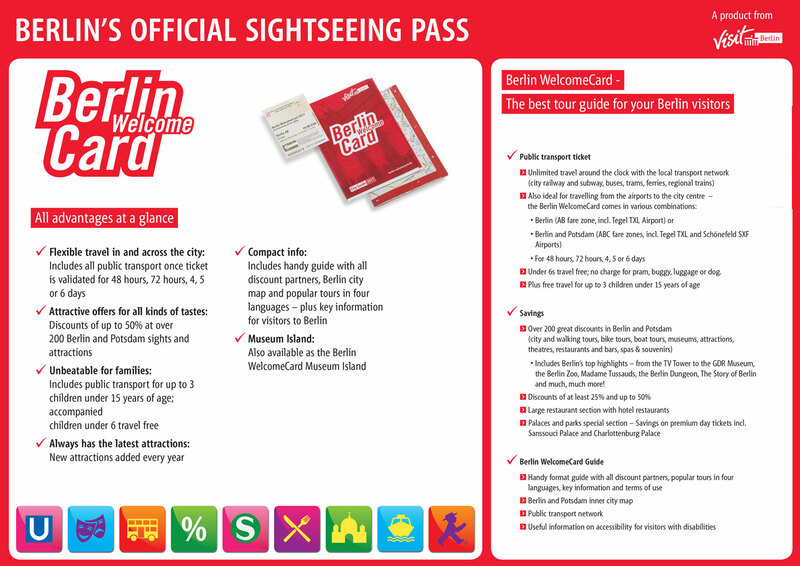 The Berlin WelcomeCard is valid for either 48 hours, 72 hours or 5 days.